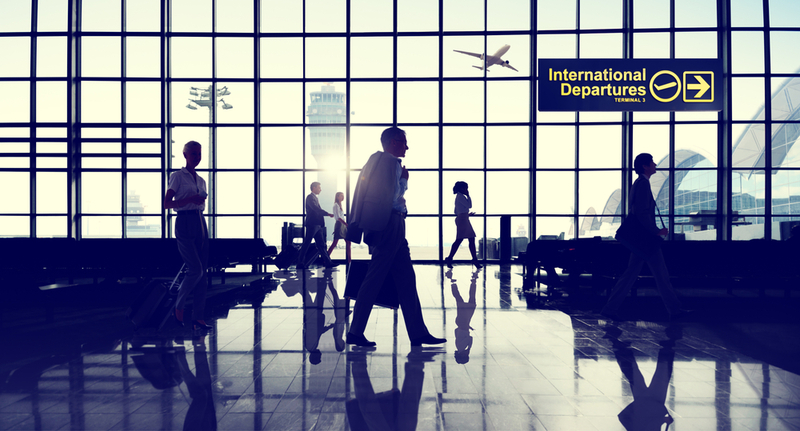 If you’re headed on a trip overseas, your first instinct might be to look for a flight out of your local airport. But what are the best airports for international travel? When it comes to flying internationally though, you’ll most likely find yourself connecting through one of the larger US hubs. It might save you time and money to start your journey from a major airport. Although most large US cities have their own airports, none of them can hold a candle to the top three: LAX, MIA, and JFK. Keep reading to get the scoop on the 3 best airports for international travels. As the world’s 4th busiest airport, LAX sees a lot of volume when it comes to flights. Although the airport holds the record for being the leader in direct flights departing from its terminals, LAX also has many connecting flights that land from other small airports around the United States. With nonstop flights to just about every major destination in Asia and Australia, you’ll probably be spending some time at this modern airport if you’re heading over from the East Coast. Enjoy that layover at Planet Hollywood or load up on as much movie and Hollywood memorabilia you can handle before boarding. Driving from a city a few hours away from LAX and worried about missing your flight? We’ve got you covered. Yearning for the tropical vibes of the Caribbean or Central and South America? You’ll love the short flight times from Miami’s international airport. You won’t even have time to watch a full-length movie if you’re vacationing in the Cayman Islands or Bermuda. If you’re a West Coast native, be aware that many flights to these gorgeous destinations connect through Miami. The silver lining is that Miami’s airport is pretty well-equipped for entertainment. While waiting, you can get your fill of luxury shopping as well as art exhibits. Don’t forget to bring your appetite. You can feast on some authentic South American food to amp up your excitement for your travels. If you’re on your way to Europe, Bermuda or the Caribbean, you might be stopping over in beautiful NYC for a layover. JFK airport is one of three major airports that service the greater NYC area, but JFK sees the most international volume amongst them all. With so many international flights, tickets are often cheaper out of JFK than out of other smaller airports. Despite the crowds and lines, one of the perks of such a busy airport is the plethora of flights available. You can be rebooked easily if your flight gets canceled or if you miss it. There are also easy and plentiful transportation options right into downtown Manhattan if you have a lot of time to kill and want to explore the Big Apple. While you might not have many cheap international flying options if you’re flying out of a small town in Minnesota, you’ll find plenty of budget tickets out of LAX, MIA and JFK. When you’re looking for your next vacation, try searching for flights from one of these airports!